Born London, 27 February 1930. M.A. (London, 1952), Ph.D. (Cambridge, 1956), in algebraic geometry. 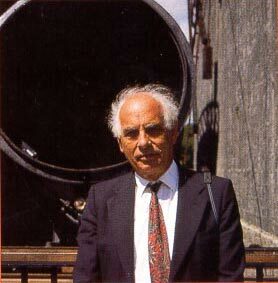 President, History of Astronomy Commission of International Astronomical Union, 1979–82; inaugurated "Oxford" meetings on archaeoastronomy. 'Effective' Member, International Academy of History of Science. Invited Discourse (plenary session) to 1982 General Assembly of the International Astronomical Union, in the Roman Odeon at Patras. Harlow Shapley Memorial Lecture, American Astronomical Society, Houston, 1986. Voyager II Uranus Symposium (with Carl Sagan), Caltech, 1986. Roderick Webster Memorial Lecture, American Institute of Archaeology, Chicago, 2001.